This set of barbell/dumbbell with weight discs will allow you to perform a large range of exercises more easily and safely at home or in the gym. 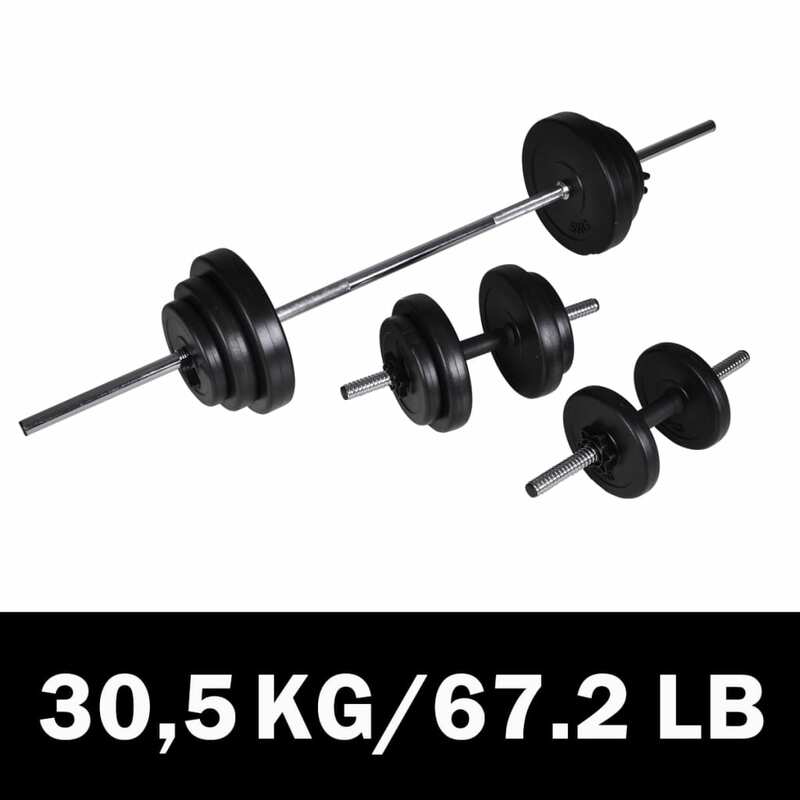 This ergonomically designed set includes 1 barbell, 2 dumbbells, and 12 weight discs, total weight 30.5kg including the bars. 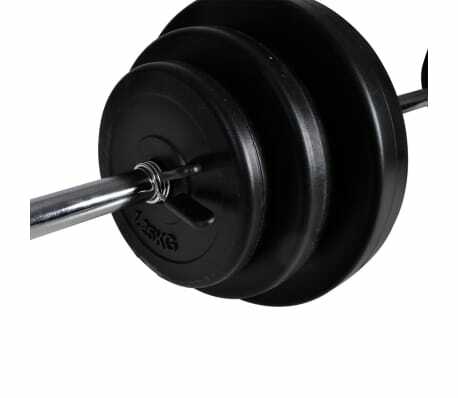 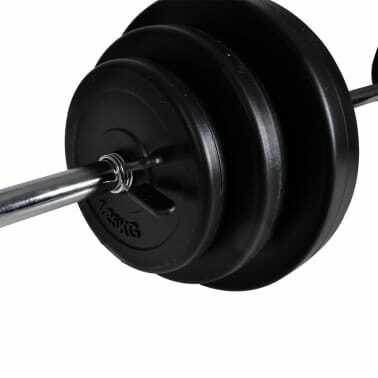 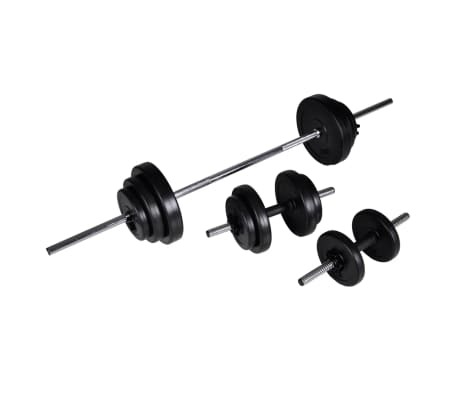 The barbell/dumbbell set features solid chrome-plated bars with quick-action spring collars (barbell bar), non-slip grips, and fluted star-screw caps (dumbbell bar) for secure attachment of the weight discs. 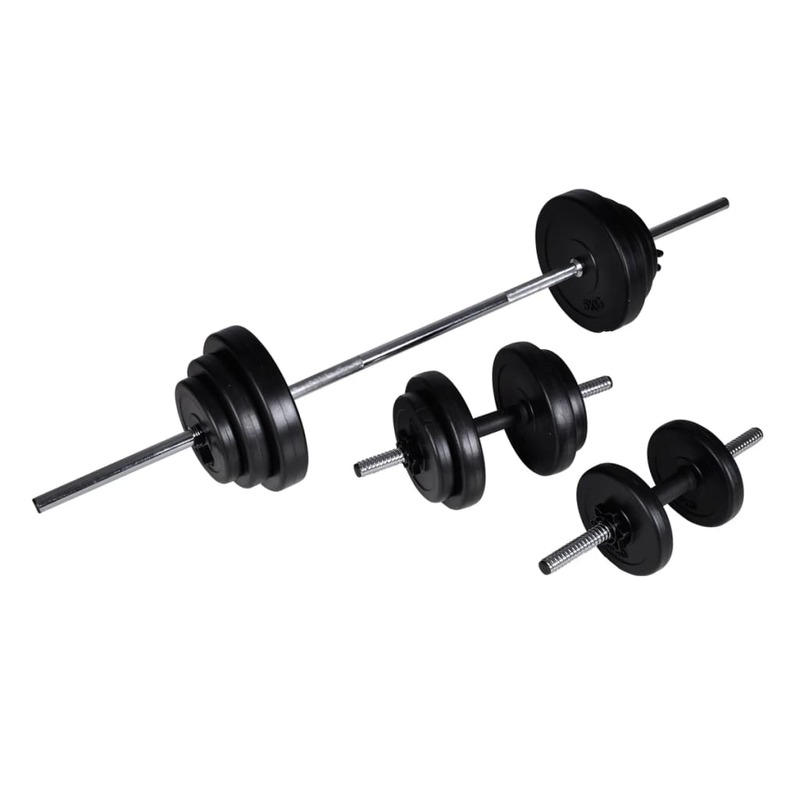 You can work out without worrying about safety issues. 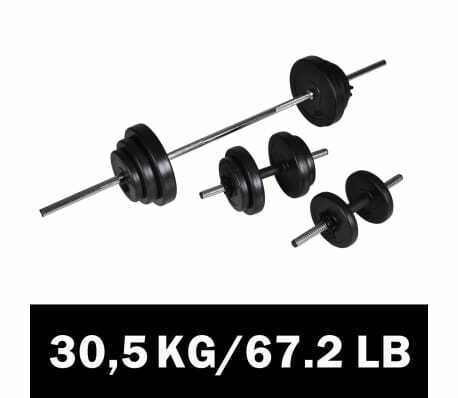 The weight discs are made with a robust PE casing. They can be combined in various ways for different training purposes. Delivery includes 1 x barbell bar, 2 x dumbbell bars, 6 x 1.25 kg weight discs, 4 x 2.5 kg weight discs, 2 x 5 kg weight discs, 4 x plastic collars and 2 x clips.